At the suggestion of Harrie Wood, James Bickett of the Ballarat Mining Board moved the motion to establish Australia's first school of mines at Ballarat in 1869. The Ballarat School of Mines was established in 1870. 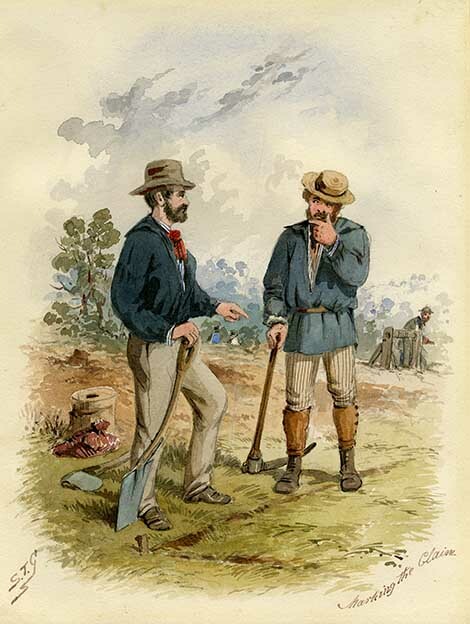 The first Ballarat Mining Board was elected on the 27th February, 1858, and Messrs James Baker, John Yates, Alfred Arthur O'Connor (for Ballarat Proper), William Frazor, Robert Lamb (for Buninyong), Duncan Gillies, Robert Critchley (for Smythesdale), Joseph Reed (for Creswick), — Martin (for Blackwood), and William Butcher (for Slieglitz) were the members, James Baker being chosen chairman. Mr Harrie Wood was appointed clerk, and he has held the office ever since. The first meeting of the board was on the 9th March, 1858. The Local Court members were remunerated by the fees paid in the cases brought before the courts in their judicial capacity. The Mining Boards receive each a Government subsidy of £500 a-year. The courts were more intensely local bodies than are the boards. The boards preside over and legislate for large districts, but the courts had very small areas of jurisdiction, nearly every mining centre, small or large, having its own court and its own regulations. ↑ Ballarat Star, 18 January 1870.